An Ethiopian jail guard accused of torturing and killing dozens of people during government-sponsored violence in the 1970s was sentenced Friday to 22 years in prison for immigration crimes by a federal judge who said the U.S. cannot become a refuge for human-rights violators. More than once, she said, Worku pointed an AK-47 assault rifle at her head then spared her life, making it hard for her to testify against him. But his refusal to accept responsibility - and what she described as his arrogant smirk - reminded her that he was "still a bloodthirsty monster," she said. "If I was who they are accusing me of being - a monster - I don't deserve to live," he said in a scratchy voice, wearing beige prison scrubs and speaking through an interpreter. "I wasn't that kind of a monster. I didn't have that kind of authority." The International Criminal Court sentenced a Congolese warlord to 12 years in prison on Friday, after convicting him in March of aiding and abetting crimes including murder and pillage in a notorious 2003 attack on a village in which some 200 people were shot or hacked to death. Germain Katanga, nicknamed Simba, showed no emotion as Presiding Judge Bruno Cotte read out the sentence. Katanga is only the second person sentenced by the court. He could be free soon as he already has been in detention at the court for almost seven years. He was convicted for his role on the Feb. 24, 2003, attack on the strategic village of Bogoro in eastern Congo's conflict-hit Ituri province. Cotte said Katanga, who was 24 at the time, made a "significant contribution" to the crimes. But he also gave Katanga credit for helping demobilize child soldiers in Ituri. "The sentence of Germain Katanga to 12 years imprisonment by the ICC gives hope to victims and sends a strong signal to all perpetrators of serious crimes who now know that they will be actively pursued and prosecuted," said Joseph Dunia Ruyenzi, a Congolese activist for the Coalition for the ICC, a group that promotes the court's work. Katanga was convicted in a 2-1 majority verdict of playing an important role in the attack on Bogoro by arming rebel fighters, "reinforcing the strike capability of the militia." The conviction was controversial, with one of the three judges saying the court's decision to change the nature of charges against Katanga during his prosecution hampered his ability to defend himself. Katanga originally was charged as an "indirect co-perpetrator" in the crimes, but judges changed the nature of his involvement to cast him as an "accessory," effectively downgrading his involvement in the attack. Moscow and Beijing can veto a resolution but they can’t suppress the desire for justice by the Syrian people and the dozens of governments that stood for their rights. With the Syrian crisis entering a fourth year, atrocities raging on all sides, and the death toll skyrocketing well over 150,000, Russia and China’s vote for continued impunity is a disgrace. 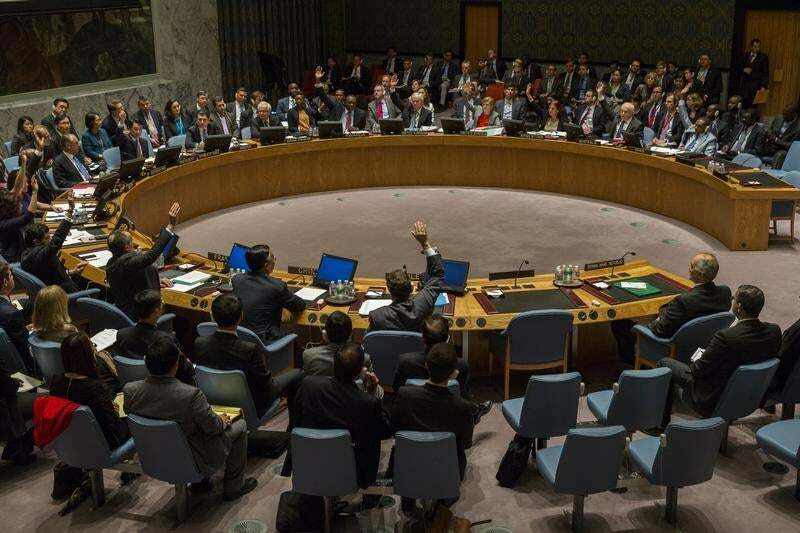 (New York) – The Russian and Chinese vetoes on May 22, 2014, of a UN Security Council resolutionto refer the situation in Syria to the International Criminal Court (ICC) betray victims of serious crimes there. The resolution has broad international support and was approved by the other 13 Security Council members. Syria is not a party to the Rome Statute, the treaty establishing the ICC. As a result, the ICC can only obtain jurisdiction over crimes there if the Security Council refers the situation in Syria to the court, or Syria voluntarily accepts ICC jurisdiction. The Security Council has made similar referrals twice, for theDarfur region of Sudan in 2005, with Russia supporting and China abstaining, and for Libya in 2011, with both Russia and China supporting. Over the past 15 years, Ethiopia has become home to one of the world's fastest-growing higher education systems. Increasing the number of graduates in the country is a key component of the government's industrialisation strategy and part of its ambitious plan to become a middle-income country by 2025. Since the 1990s, when there were just two public universities, almost 30 new institutions have sprung up. As Ethiopia experiences rapid economic expansion, its government plans to grow the capital out rather than up, and this involves annexing parts of the surrounding Oromia state. An official communique from the government absolved it of all responsibility for the clashes, claiming that just eight people had been killed and alleging that the violence had been coordinated by a few rogue anti-peace forces. The government maintains that it is attempting to extend Addis Ababa's services to Oromia through its expansion of the city limits. However, Oromia opposition figures tell a different story. 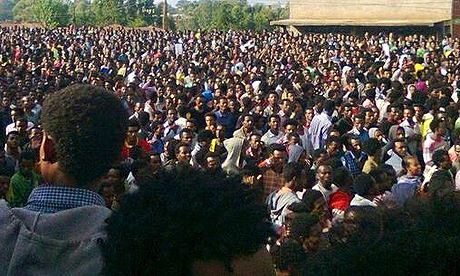 On 2 May, the nationalist organisation the Oromo Liberation Front (OLF) issued a press release that condemned the "barbaric and egregious killing of innocent Oromo university students who have peacefully demanded the regime to halt the displacement of Oromo farmers from their ancestral land, and the inclusion of Oromo cities and surrounding localities under Finfinnee [Addis Ababa] administration under the pretext of development". The Addis Ababa regime dismisses the OLA as a terrorist organisation. While news of the killing of unarmed protesters has caused great concern among many Ethiopians, there has been little coverage overseas. The government maintains strict control over the domestic media; indeed, it frequently ranks as one of the world's chief jailers of journalists, and it is not easy to come by independent reporting of events in the country. Nevertheless, the government's communique does run contrary to reports by the few international media that did cover the attacks in Ambo, which placed the blame firmly on government forces. The BBC reported that a witness in Ambo saw more than 20 bodies on the street, while Voice of America (VOA) reported that at least 17 protesters were killed by "elite security forces" on three campuses in Oromia. Local residents maintain that the figure [of those killed] was much higher. These reports, while difficult to corroborate, have been backed up by Human Rights Watch, which issued a statement saying that "security forces have responded [to the protests] by shooting at and beating peaceful protesters in Ambo, Nekemte, Jimma, and other towns with unconfirmed reports from witnesses of dozens of casualties". One university lecturer said he had been "rescued from the live ammunition", and that it was the "vampires – the so-called federal police" who fired on the crowds. While the government said at least 11 students had died after protests that started last month, people with family and colleagues back in Ethiopia's Oromia state said at least 70 people have been killed, with even more wounded. "We have not been able to get media attention on the state authorities," said Fatuma Bedhaso, 22, of St. Paul. The hunger strike "is nothing compared to what the students back home are going through. "It's so sad" what's happening back home, Dube said. "We know how it feels. We know how hard it is being in that prison." One man, who didn't want to be identified, rolled up a shirt sleeve to reveal a jagged scar that wrapped around his forearm. Edao Dawano, 27, of Minneapolis said that even though the strike was ending, the work to keep the Oromo story in the news wasn't over. "This is a crisis for our culture," said Dawano. "It impacts our way of life, our values, our cultural heritage."